In today’s ever-evolving, fast-paced digital media world, those interested in getting into the field, or even keeping up with it, are expected to know nearly every aspect of the production process. From set design, lighting, photography, to storytelling, and more, producers have to hone, sharpen, and constantly work on their skills to adapt with the rapidly-changing technology. Luckily, VCU and a local longtime production studio have teamed up to help students, and those interested in seeking out a career in those fields. VCUarts and Richmond-based production studio In Your Ear have designed a new post-baccalaureate certificate, AMPT (Advanced Media Production Technology), a program to connect graduate students with opportunities in the vast digital media production world. Based in the heart of Shockoe Bottom, aspiring producers are becoming new-age digital media masters at the studio, which was founded by Carlos Chafin and Robbin Thompson in 1990. The 24-credit hour program is designed by VCU faculty, industry professionals, and In Your Ear staff, drawing on years of professional studio and production experience to create an immersive hands-on experience, blending creativity and technical skills needed for jobs in the industry. AMPT is intended to benefit a variety of students of different backgrounds, interests, goals and skill levels, open to anyone with a Bachelor’s degree in any field, but the program only accepts up to 20 students per semester. For Fall, the 12-credit curriculum goes over audio production, editorial storytelling (video post-production), emerging digital cinema (video production), and light/image. For the upcoming spring semester, AMPT students can take a variety of electives including motion graphics, audio for gaming, and mobile application development. In addition to learning or advancing their own skill-sets, students enrolled in the classes also learn from each other during the process, through collaboration on projects. 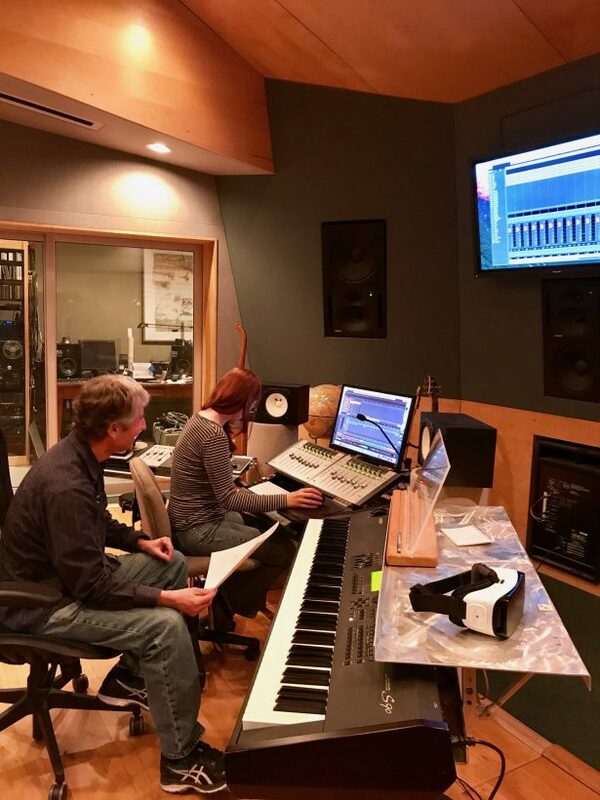 The East Broad Street studio reach has gone beyond working with students in its long history here, it has worked with some of the biggest names in the world. R&B singer Chris Brown recorded his 2012 Grammy-awarding winning album F.A.M.E. there, and TVand film producers for “The Help”, “Family Guy”, and “Gladiator” have utilized the studio for dialogue production. In Your Ear has also recorded and scored TV and radio spots for companies like McDonald’s and Coke. The program will evolve as Chafin and his team see fit, with plans to include more virtual reality-based courses in the future. And VCUarts Executive Director of Entrepreneurship Matt Woolman is hoping to keep growing the program as well. Tuition for the full-time program costs $14,500 and $605 per credit for part-time. Students looking to enroll in the program can apply here.